Bugs and people have a lot more in common that you may think: we share about 60%* of the same genetic code, we both need to breathe air, and we both enjoy a good veggie now and again. The problem for us humans really stems from this last one, because the thing is, we don’t like to share. We worked hard to grow the veggies, we don’t want anyone else coming in and taking them. As a result, we invented insecticides. They keep our crops safe from the bugs who might try to ruin our hard work. Unfortunately, a lot of insecticides have been found to damage the environment. This is what inspired researchers at North Dakota State University to look into safe and natural insecticides. 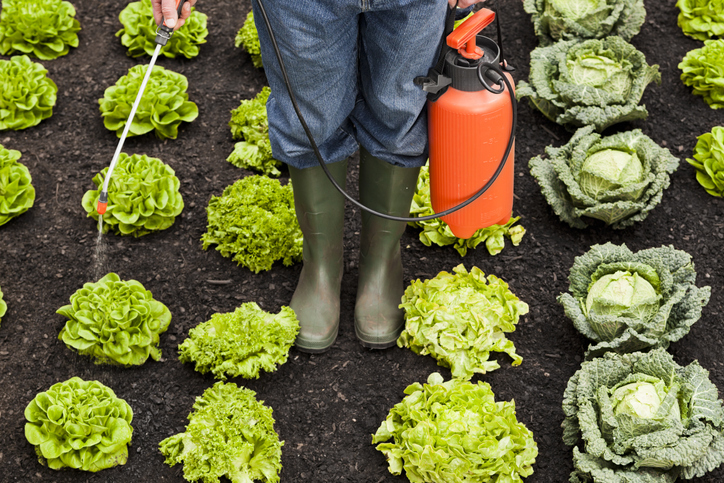 The researchers discovered several useful natural pesticides through their experiments. While still very effective at de-bugging, the reasons these natural remedies are less harmful to the environment are twofold. Firstly, as you probably could have guessed, the bases for these compounds are all naturally occurring in nature already. For example, the most potent of the natural remedies, pyrethrin, comes from the chrysanthemum flower! Secondly, these products don’t last nearly as long as artificial chemicals. They stick around for far less time, meaning that even if they do get washed into a stream, they aren’t around long enough to poison anything. If used properly, this research can help to both protect our veggies, and our planet!